Are you or your managers great leaders? Are they effective at coaching and mentoring others? Situational Leadership® accreditation through GBS Corporate Training not only provides you with the foundations of the Situational Leadership® model, but provides participants with the tools and knowledge required to build better leaders in your organisation. Through effective coaching, organisational performance can improve dramatically, and new leadership strength can emerge. Leadership and coaching of employees is a way for HR and Leaders to help drive the success of a corporation or an initiative. Graduates leave academic institutions armed with academic knowledge and enthusiasm. However, many people quickly realise that they lack the skills required to navigate and succeed in a corporate environment. 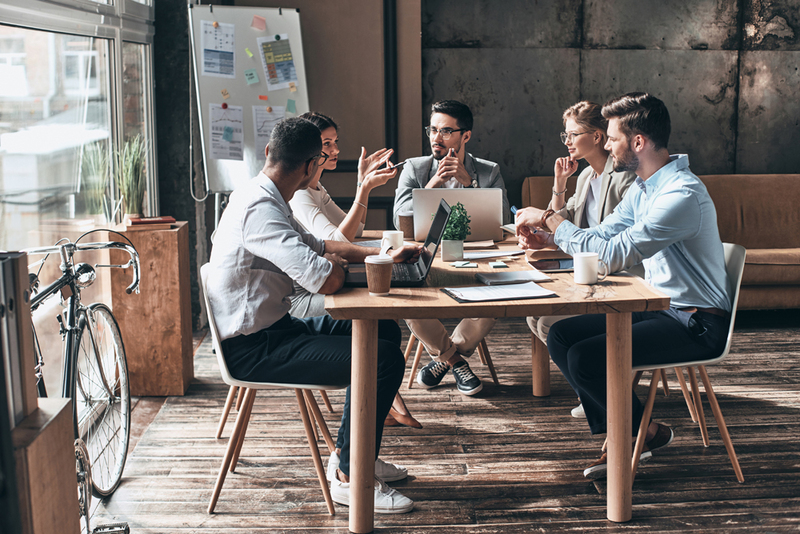 When employees of different generations need to work together on projects, there is the potential for an unhealthy rivalry and a contentious relationship to develop. The young employee may feel the mature employee is stuck in their ways and unwilling to try an alternative, and the mature employee sees the youthful exuberance as flighty and undisciplined. “Leadership is any attempt to influence the behaviour of another individual or group” Dr Paul Hersey, The Center for Leadership Studies Inc. The Situational Leadership® model equips leaders with the necessary tools to skillfully navigate the demands of an increasingly diverse workforce and evolving global marketplace. Widely adaptable to any circumstance, Situational Leadership® prepares leaders to meet the moment-to-moment challenges pervasive in today’s work environments. People often discuss the concept of leadership, but rarely is one able to define what leadership is. When asked for examples of leadership, often we consider names such as Steve Jobs, Richard Branson etc, but not the qualities of leadership. Helping employees recognise the difference between leadership and management can yield great results for everyone and create a win-win situation. Leadership is action and not position. The route to becoming accredited in Situational Leadership® through GBS Corporate Training. The Situational Leadership® model transcends cultural and generational differences and equips leaders around the world with the skills necessary to drive behavioural change and increase productivity. It prepares leaders for the most pressing challenges pervasive in today’s work environment. A Leaders’ natural characteristics (or styles) are as diverse as the people they manage. How you deal with one of your team and how you speak to them in a specific situation may be different to the way that you would deal with another in the same situation. How they respond to you can be a direct reaction to how you have spoken or dealt with the issue. The old adage ‘it’s not what you say, it’s how you say it’ rings true in many instances, especially in a boss-subordinate relationship. By analysing your predominant style and how it motivates or de-motivates your staff may allow you to examine the interactions you have with staff members and develop more effective strategies for leadership. To be successful in today’s work environment, a leader must learn to appropriately balance their task direction with the proper relationship behaviour, leading to high levels of consistent performance across team members. Adopting this behaviour, a leader defines the tasks of his employees and closely supervises them. This is particularly true for inexperienced or first-time employees who need to be closely supervised to complete a task. In this leadership behaviour, a leader still defines and assigns roles and tasks but he or she is more receptive in getting ideas and suggestions from the employee. This type of leadership style is more suited for less experienced staff members who still need guidance and supervision. Here the leader gives more control and minimal supervision to his staff. The leader gives out day-to-day tasks and instructions on the processes required to achieve a certain task, but the employee has enough control or freedom on how to accomplish the task. In this set-up the leader is still involved in the decision-making process but the delegation of tasks and processes is fully given to the staff member. This style is most suited to an experienced employee who has the competence to set their own processes required to accomplishing certain goals. Situational leaders help employees grow and develop by using high-probability leadership styles for each level of Performance Readiness®, e.g. ‘Telling and Directing’ through to ‘Delegating’. This translates to accelerated individual development and the achievement of desired results for the business, the leader and the individual. For a Leader to be effective, it is necessary to identify the readiness level of an employee and then apply the most appropriate leadership style, which helps in achieving the desired business objectives. A good situational leader must be able to consider both the organisational task at hand, but also the readiness and well-being of their staff. Situational leadership® states that it is up to the leader to change his or her style, rather than the job of the followers to adapt to the leader’s style. A good leader should analyse each situation based on a variety of factors. They must be flexible enough to modify their leadership style to suit the individual personalities whilst adhering to the corporate mission. For instance, some employees may excel when working independently, while others may need more one-to-one contact and feedback. Effective leaders must find out what makes people tick: what they truly enjoy about their work; what they wish was different; how their work drives them to succeed. Situational Leadership® closes the gap between 'learning' and 'achieving' and provides Leaders with a practical toolkit which ensures people feel inspired and motivated to align themselves with the organisation's overall aims and objectives. Situational Leadership®, which stresses flexibility and simplicity in execution, can equip leaders in your organisation with the tools necessary to skillfully navigate the demands of an increasingly diverse workforce and evolving global marketplace. According to an article by the Chartered Management Institute, 7 in 10 employers are failing to train first-time managers. Often managers, probably promoted from within a business, may do their day-to-day job extremely well but are not given the necessary leadership training programmes to allow them to guide a team successfully. Good leadership training can benefit everyone in your organisation, from top levels of management to supervisors and lower levels of management. With leadership training, leaders will learn how to manage their own time effectively, set realistic expectations and motivate employees. When the management of your business is strong at the top-Executive level, the positive effects will filter down and have a positive impact on all employees. Leadership undeniably affects organisational performance, specifically employee outcomes and productivity. Job satisfaction, productivity and organisational commitment are also affected by leadership behaviours. Leaders, apart from their actions and personal influence, should be empowered to make critical decisions and keep operations running smoothly and effectively. They also need to constantly keep themselves up to date with current affairs and situations. It is critical for leaders to be aware of and be able to identify the new emerging markets, which may present new business opportunities they could consider venturing into. GBS provides a series of Situational Leadership® Building Leaders training courses related to different applications of the model. We help Leaders to learn to appropriately balance their task direction with proper relationship behaviour, which helps to maintain high levels of consistent performance across team members. Situational Leadership® accreditation can be awarded to an organisation’s internal trainer(s) who successfully complete(s) the three-day Situational Leadership® programme. The accreditation is designed to equip trainers with the necessary skills and knowledge to deliver licensed Situational Leadership® within their own organisation. A licensed ‘Administration Resource Kit’ is provided for each of the accredited trainers to deliver Situational Leadership® training in-house. Its use is restricted to the host organisation only and the licence remains valid as long as the organisation has their own accredited trainers. The first part of the accreditation process involves experiencing the Situational Leadership® programme as a participant. The aim is to ensure participants understand how the Situational Leadership® model can become a tool to help them interact with others in a way that focuses on performance, helping realise potential. Self-assessment and 360° feedback (online pre-work) of preferred leadership styles are introduced to enable specific development actions to be planned. Participants then undergo ‘teach-back’ where they prepare and deliver agreed sections of the Situational Leadership® programme. Accurate demonstration of knowledge and understanding of the model will result in accreditation (it should be noted that the individuals’ training skills are not assessed). Leadership training can be a powerful way to equip leaders with the tools to better understand why their own attempts to direct employee behaviour succeed or fail. Learning to adjust your approach, depending on the task and the people involved, is a highly successful way of ensuring you are the best leader you can be in any situation.